Unite Lebanon Youth Project (ULYP) is our partner in Lebanon. They support undergraduate education for Palestinian refugees living in Lebanon. ULYP prepare students for study abroad. LE•O supports ULYP by securing and managing scholarships while shepherding their scholars while they are in the United States. Thaki is empowering refugee and disadvantaged children to learn and thrive through self-paced, motivational electronic tools. Cogito The Cogito Scholarship Foundation is a UK-based charity. The Foundation identifies the brightest teenagers from the poorest communities in the Middle East and North Africa, and gives them scholarships to some of the best academic institutions in the UK. Access to these schools gives them a springboard to the best universities. Like LE•O, Cogito believes that with the right education and opportunities, children from these underprivileged communities can become their countries’ future mentors and leaders. Helping teenagers today, qualifies them to help their countries tomorrow. 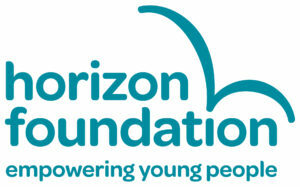 The Horizon Foundation brings exceptional young people from disadvantaged backgrounds in the Middle East (particularly Palestinians and Syrians) and Asia (particularly Tibetans and Afghans) to leading boarding schools for their final two years of secondary education.By providing educational opportunities and support to young people, the Foundation seeks not only to offer new horizons for students but also to foster positive change in their communities. Jubilee Institute The Jubilee School focuses on providing a rich and diverse program that caters to refining students’ minds and personalities,and that stimulates their creativity, motivates them to focus on scientific research skills, high achievement and initiative. The School Scholarship Fund provides partial or full scholarships for about 96% of their regular students. The full scholarships cover the annual school fees, but not the registration or graduation costs, nor transport, books or uniform expenses, including the summer orientation. The scholarship amount depends on the financial situation of the student, and requires the student’s consistently high academic achievement to continue.